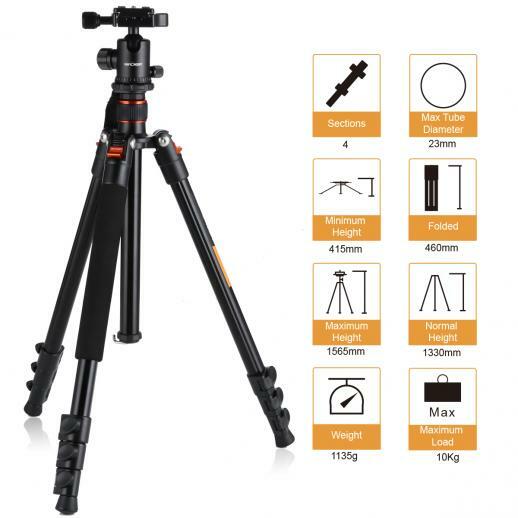 Buy K&F Concept tm2324 (orange) aluminum camera tripod lightweight 62 inch for canon nikon outdoor travel photography online, worldwide free shipping and 30 days return guarantee. • Center Column Height Reduction: The bottom part of the center column is removable. 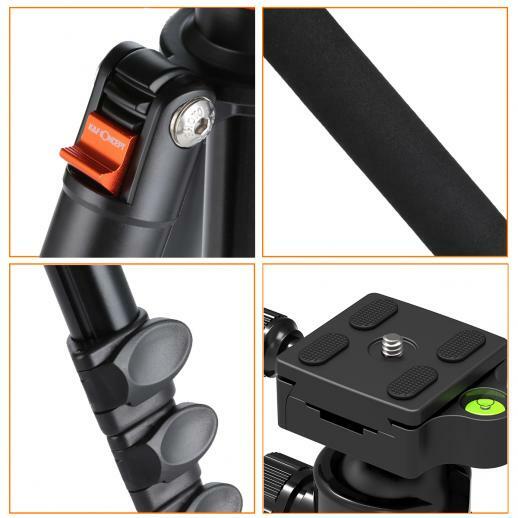 The center column is still reversible to achieve low angle shots;Recessed Center-Column Hook: A spring loaded recessed hook located in the bottom of the center-column, allows you to hang additional weight from the travel tripod's center of gravity for increased stability. 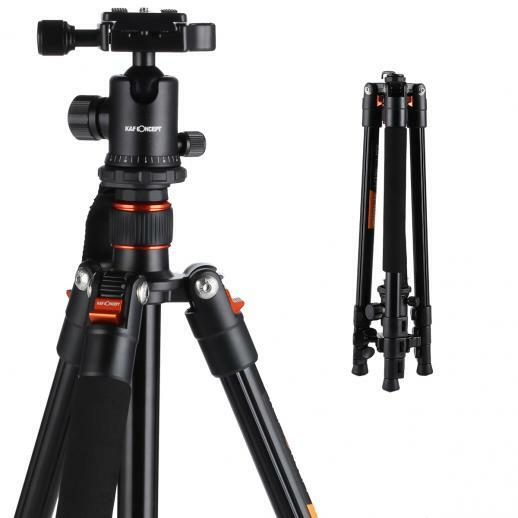 Fix the tripod, and keep it in horizontal position, then make it rotate uniformly. Smaller enough to help you a convenient travel. With powerful and quick flip leg lock, only use one hand can open and close all the buttons in a few seconds. 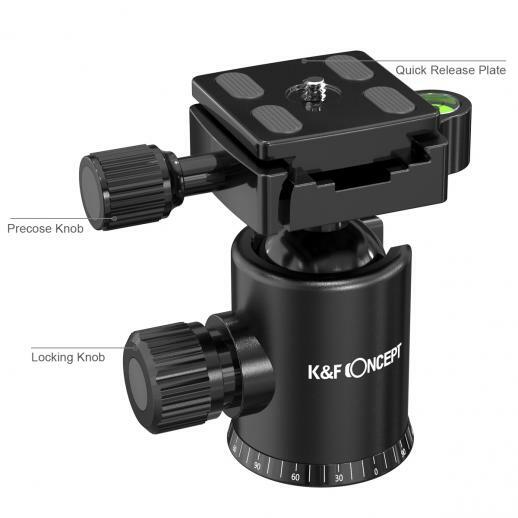 The spring self-locking tube angle adjustment knob, only need to press, release, so that can quickly adjust the angle of the three tripod tubes. 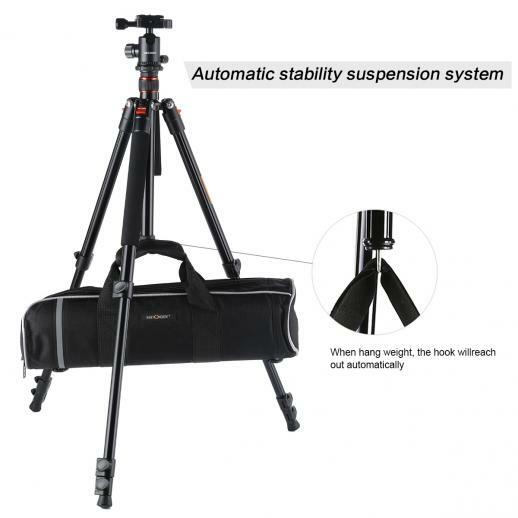 The 3 tubes of tripod can be folded 180° reversely, which can save space and make it more convenient to carry. 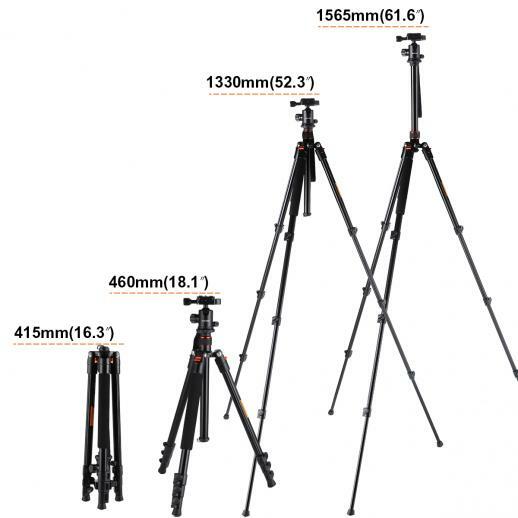 Great design, extremely light weight and sturdy. Comes with a travelling case. Light weight yet sturdy. 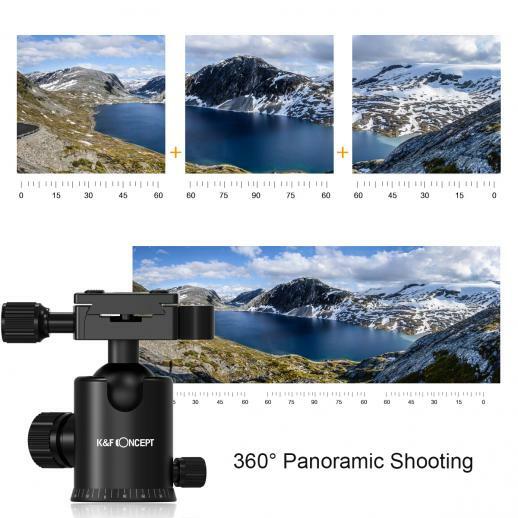 Absolutely impressed by this product! I am so happy with this purchase! 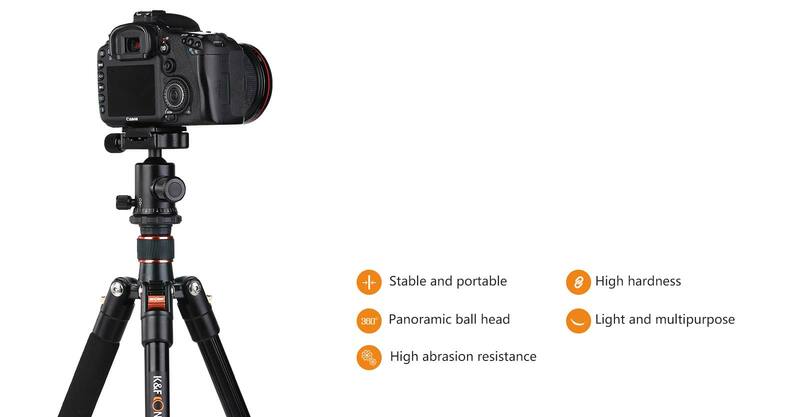 This tripod is very light but solid and versatile. It even come with a nice carrying case. (I don't find it really necessary but I'm sure it's a nice bonus for some people.) Overall, it has exceeded all of my expectations. I highly recommend it!! Item arrived early and in great condition. 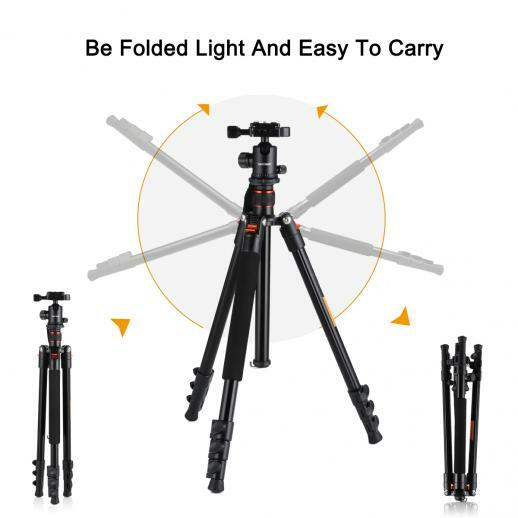 It is sturdy and good quality.